Whether in measurement or speed skating, accuracy and precision are assets. Being from Colorado, I’m a big fan of winter sports: skiing, skating, snowboarding, hockey, bobsledding, and even curling. Like many people, I look forward to the Winter Olympics every four years. The Olympics are a test of the world’s greatest athletes’ skills—skills they have spent their entire lives honing and perfecting. We all watch with rapt attention to see who can endure the most, move the fastest and most gracefully, and jump the farthest and highest. But how do we know those things? Through measurement, of course. Measurements determine who wins gold or silver or bronze. Whether by a millimeter or millisecond, measurements are what tell us if we’ve just witnessed the breaking of a world record. In many ways, measurements literally make history. 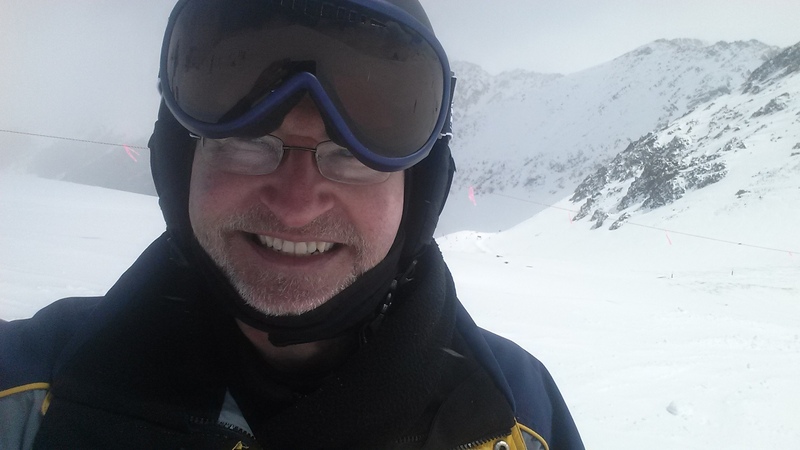 Enjoying a day of skiing at Arapahoe Basin, Colorado. Athletes use measurements to track and improve their performance. And we rely on the skills and impartiality of the judges and the accuracy of the measurement instruments and standards they use to describe and rank these athletes’ extraordinary achievements. In fact, without accurate measurement, events like the Olympics wouldn't be possible. Science is an enterprise every bit as competitive as sports. We tend to celebrate scientific breakthroughs and astonishing accomplishments like Albert Einstein’s Theory of Relativity. But it took steady incremental advances by thousands of scientists and engineers over the span of decades to put a man on the moon and a cell phone in every pocket. And those accomplishments could not have happened at all without accurate measurement. Advanced measurements enable advances in technology, as well as human performance. Father of modern chemistry Antoine Lavoisier’s great breakthrough was his commitment to making accurate measurements when conducting his experiments. Measurement is what transformed alchemy into chemistry. The same goes for all the sciences. You could even say that human progress, our ability to control and change the natural world, has improved as our ability to measure has improved. Measurement and the advance of civilization are inextricably linked. 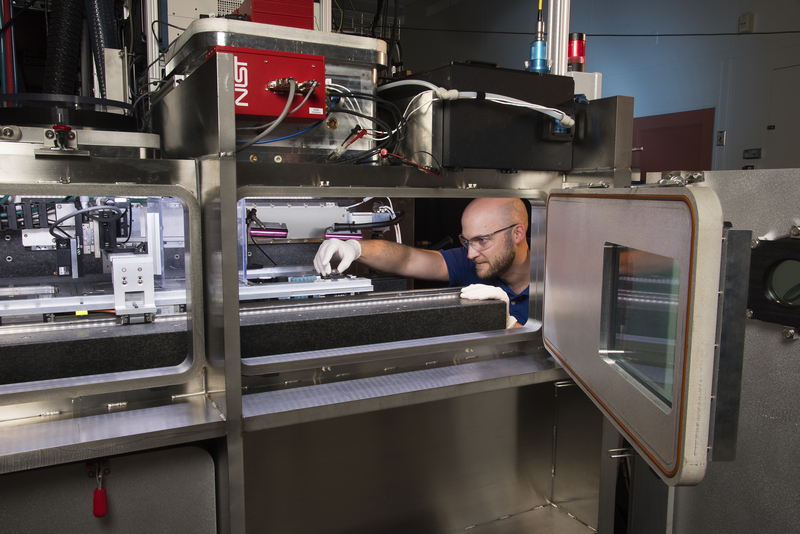 Because measurements are so important, we have specialists dedicated to making them, pushing the frontiers of science to advance measurements for emerging fields, improving measurement technologies, and determining their quality and reliability. Measurement science, or “metrology,” advances economies and assures fair trade. The U.S. Department of Commerce’s National Institute of Standards and Technology (NIST) and other institutes like it around the world are responsible for maintaining and improving that measurement infrastructure upon which so much of our modern world depends. Only when you can measure distance, time, mass and other quantities accurately, precisely and reliably can you manufacture many products we depend on to fuel our modern economy—from computer chips to GPS navigation to advanced materials for aerospace to biopharmaceuticals. And just as important, these science-based measurement methods ensure that the performance of products can be fairly evaluated regardless of their maker or country of origin. That lubricates the wheels of commerce. As NIST Director, I get to work with and represent some of the best metrologists in the world. It’s our mission to ensure that U.S. industry and science has the most advanced measurement system possible so that our industries and manufacturers can make the highest-quality, most advanced products in the world. NIST has a more than 100-year history in the field. To capture some of that history, we asked six former NIST directors to tell us in their own words why measurement science is so important. In 1953, then-NBS director Allen V. Astin spoke before the American Physical Society about NBS/NIST’s values, and the critical role scientific advances played in supporting U.S. industry. It’s a message that has resonated with NBS/NIST directors ever since. To tie their insights together, the video includes excerpts from a seminal 1953 talk by Allen V. Astin, the NIST Director at that time, which was presented to the American Physical Society. Even 52 years after NIST’s founding in 1901, this eloquent talk tells the story of NIST and why it was brought into being. We were thrilled when Astin’s son, actor John Astin and his grandsons, Sean and Mac Astin, also actors, volunteered their time to help us recreate key excerpts from the speech. We believe that there is romance in precision measurement and that ability to extend the absolute accuracy of measurement by one decimal point frequently demands as much ingenuity, perseverance and analytical competence as does the discovery of a new principle or effect in science. I couldn’t agree with him more. Metrology touches all our lives in so many ways every day. As we’re all cheering for Team USA at this year’s Winter Olympic games, I hope you will remember that measurements are how we know just how remarkable these athletes are. Measurements are what proved that they have the right to be there. The scientists and engineers who make these ultra-precise measurements possible, like NIST’s Harold Lyons, who built the first atomic clock, may not be quite as visible in the media as Olympic athletes—but they should be! For it is the impartial precision and accuracy of the world's leading metrologists like those at NIST who help bring fairness and trust to both marquee sports and world economies. That said, go Team USA! The industry of Instrumentation and controls the most important thing is measurement . Nice video great message. very impressive video. Thank you. I am glad to know the history and role of NIST. NIST is still helping many LAB analyzes around the world. This was a great point about NIST, "It is the people who live and breathe quality and measurement accuracy." A terrific read! 'Grateful the history of NIST and for all of the good work you are doing there. That was four years before Lord Kelvin's often quoted statement. More details at http://dx.doi.org/10.6028/jres.107.021. Thanks, Arno! I had not known about your paper on Heike Kamerlingh Onnes’ lecture. It's interesting to learn that his lecture actually predates the famous quote from Lord Kelvin.